I have another baby without name. Please, help find a name for this little cutey pie! This could be a boy or girl doll. Nope, I don't make dolls that are anatomically correct. Somebody actually asked me to return a doll once so I could attach a you-know-what. I refused. Waldorf dolls are all about the imagination! No noses, no ears, sometimes not even a face...So I'll leave the gender up to your imagination, too! Can't wait to hear your name suggestions for this cute baby. Baby is ready for the fall in her sweet warm sweater, knit by Elaine, the best knitting granny , I know on Etsy! 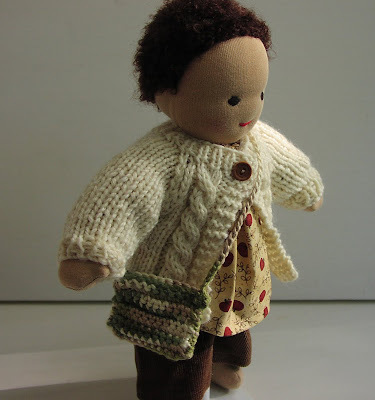 My new doll purse/boy bag goes really well with the knit cable design. 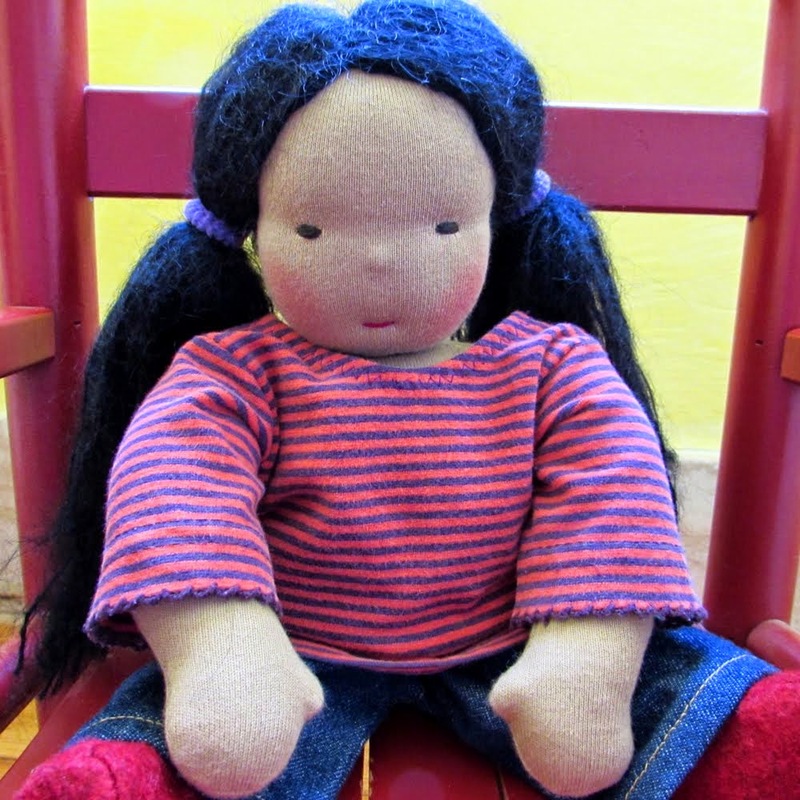 I think this doll will have lots of fun collecting acorns and treasures from nature with her new doll owner. Why not "Autumn"? It's both the season AND a pretty name. I like them! I am waiting for a few more ideas. Is it a boy or girl? OR how about Little Pumpkin! Looks like her new owner will have to do the naming. She sold already...Should I send her the list? Thanks for all the great names! I will consider them for the next doll in the making!